When you are pushing yourself to your limits, you will only be as good as the equipment you bring with you on that journey. Promaster embodies the spirit of innovation. It is a watch for professionals who challenge their limits. That’s why it always features the most up-to-date technologies for functionality, durability and safety. 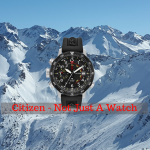 Citizen takes your challenges seriously and matches your adventure with the best performance any watch in the world will give you. 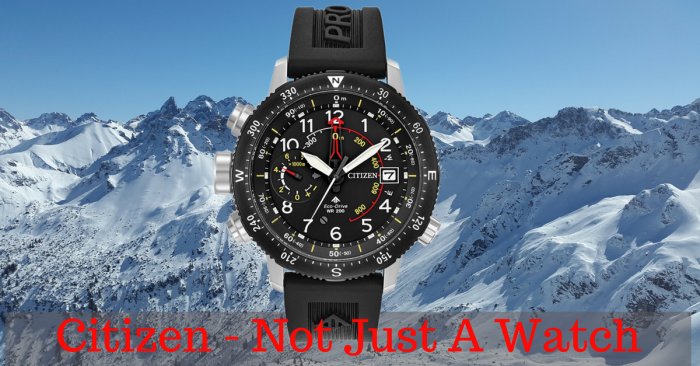 Promaster Altichron can measure altitude from minus 300 metres to 10,000 metres above sea level – higher than any mountain on Earth. Once activated, the altimeter continuously measures your altitude for five minutes, then provides automatic readings every three minutes over the next 12 hours, freeing climbers to focus on climbing without the need to perform any fiddly manual operations. With all the information displayed in analogue rather than digital format, there is no need to switch away from the all-important time display to check altitude or orientation. Promaster’s toughness gives you the confidence to take on new challenges. Unidirectional bezel guards against accidental rotation. 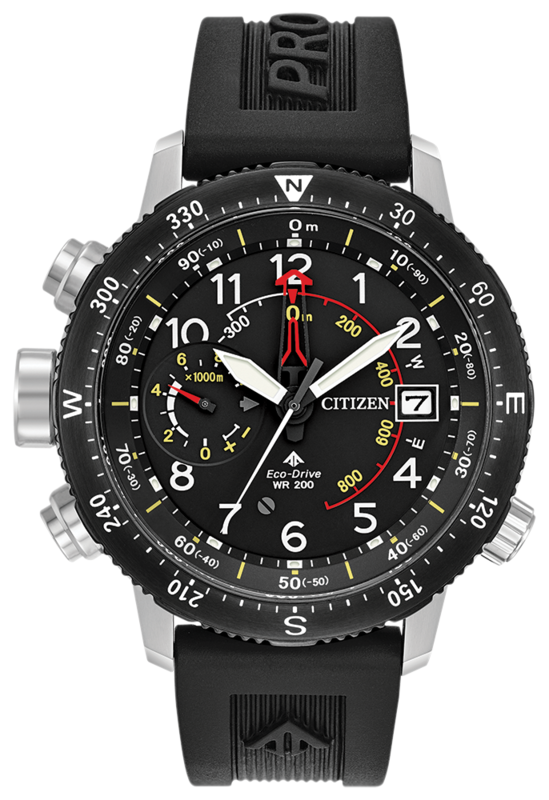 Citizen’s light-power technology, Eco-Drive, is driving Promaster’s evolution. Included features are Shock counteraction and automatic hand correction, compass with rotating bezel, power reserve indicator, screw-back case and screw-down crown plus anti-reflective lens. The sky is the limit with the new redesigned Promaster Altichron, which has an innovative sporty yet sleek appearance.